In an effort to more closely align itself with Ipswich Town Football Club and enhance its standing as a local charity, Ipswich Town Community Trust has undergone a rebranding. 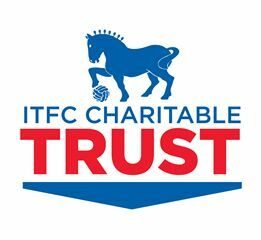 It will now operate under the title of the ITFC Charitable Trust and include a new logo that incorporates the Suffolk Punch horse that features on the Club badge. Since 2003, Ipswich Town Community Trust has used sport, and in particular football, to reach out to and encourage and inspire children, young people and adults living in and around Suffolk. Last year alone, 60,000 people took part in Trust activities. ITFC Charitable Trust launched the new name and logo at Ipswich Townâ€™s home game against Queens Park Rangers on 14 September, where the Trust is the main sponsor. â€œWe are a charity that works, using the close relationship with the Football Club to improve the lives of so many children, young people and adults from all walks of life,â€� Terry Baxter, the Trustâ€™s chief executive, told the club website. Ipswich Town Football Club is the Number One Venue!